Looking for info and tips on eco-friendly accommodation, tours and activities in Brisbane, Australia? Here you’ll find our favorite sustainable hotels, hostels, tours and recommendations for restaurants in the capital of Queensland. We’ve also put together some links to the weather forecast for Brisbane and other useful travel info. Brisbane, capital of Queensland, is a big, modern city set on the Brisbane River. 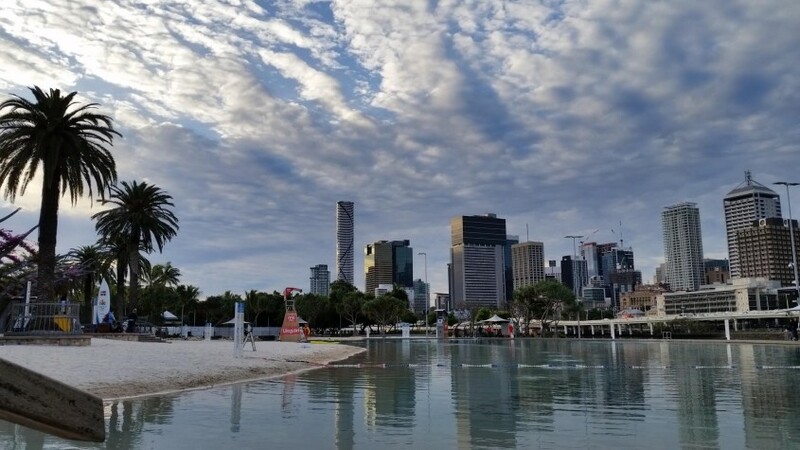 Clustered in its South Bank cultural precinct are institutions including Queensland Museum and Sciencentre, with noted interactive exhibitions, and Queensland Gallery of Modern Art, among Australia’s major contemporary art museums. Looming over the city is Mt. Coot-tha, site of sprawling Brisbane Botanic Gardens, with panoramic views from its summit. Brisbane City YHA is a modern budget hotel with a friendly hostel feel. 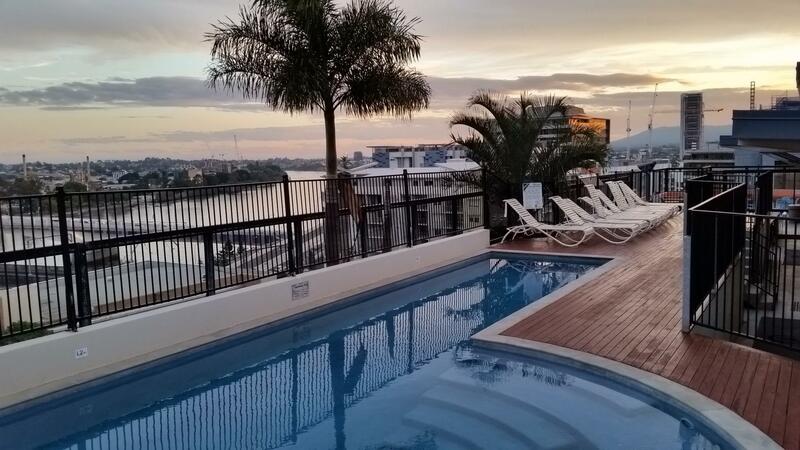 There is of course the impressive roof top terrace with pool and views over Brisbane’s skyline. What we like most though – apart from the many environmental initiatives taking place – are the friendly, approachable staff, most of whom have traveled extensively themselves. Read our review here or check availability and rates. More about YHA Australia and sustainability in this interview with Jon Kane by the Sustainability Leaders Project. Certified by EarthCheck, Emporium is a boutique hotel in Brisbane dedicated to environmental best practice. Sustainability projects include: introduction of Hotel Roof Top Bees, Discount Parking for Hybrid Cars and Colour Coded internal recycling program. Roma Street train and bus station is a major transport hub in Brisbane. Just behind it there is a great landscaped park, ideal for lunch break or to relax before your onward journey. A short bus ride from central Brisbane, Lone Pine Koala Sanctuary gets you close to many of Australia’s iconic wildlife. Walk (or hop) with Kangaroos and Wallabies, get close to the many resident Koalas or check out Emus, Cockatoos, Platypus….and so much more. You can also get a picture holding a Koala. Our top tip for families visiting Brisbane. Exploring a city on an empty stomach isn’t much fun and Brisbane has a great variety of restaurants for hungry travelers. Here are two restaurants we particularly enjoyed. Celebrate your visit to Brisbane in style at Urbane, boutique restaurant run by acclaimed chef Alejandro Cancino and his partner Andrew Buchanan. We went for the 5 course herbivore degustation menu which – albeit not cheap – had some mouth-watering combinations. Insider tip from Mitch, manager of Brisbane City YHA. Very close to the hostel and a place where you’ll get a decent coffee, breakfast and lunch in a relaxed atmosphere. A hip cafe, bar and roastery with outdoor tables, craft beer and a distinct urban feel. Visiting Brisbane without exploring its surroundings would be a lost opportunity. Here are some ideas for places to visit around Brisbane. Lamington National Park in the hinterland of Gold Coast and Surfer’s Paradise (1,5 hours by train from Brisbane) is a great place to explore Australia’s rain forest. Binna Bura Eco-Lodge is located right in the middle and offers spectacular views over tree-covered hills and mountains. 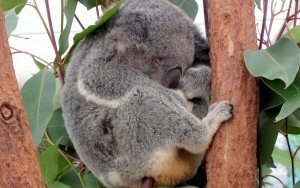 Chances are good that you’ll spot a Koala or two. 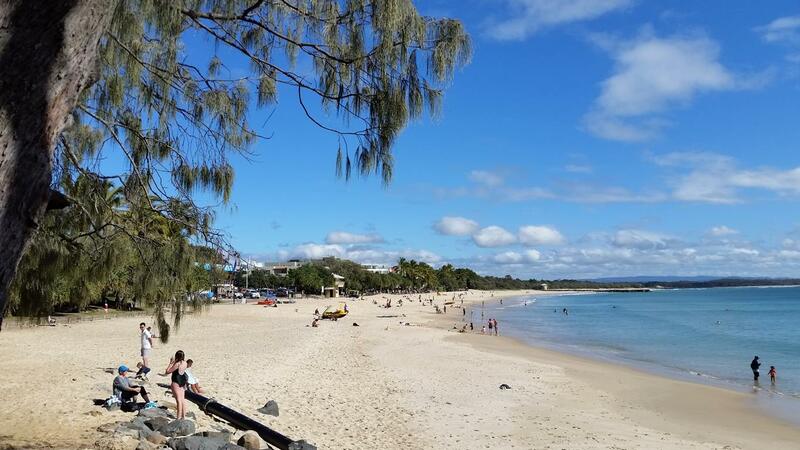 Upscale, quaint seaside village 136 kilometers north of Brisbane on the Sunshine Coast. For those young at heart and/or on a budget, stay at Noosa Heads YHA, an authentic heritage-listed backpackers and guesthouse built in the 1880s, managed by two super friendly sisters. Surrounded by two acres of gardens and rainforest, backpackers can relax on the hostel’s shady veranda’s or walk to Laguna Beach or Noosa Heads‘ famous Hastings Street shops. The hostel has a licensed restaurant with on-site bar. Further North lies Hervey Bay, which has become known as whale watching capital. Stay at the Friendly Hostel and hop on one of their electric bicycles to explore this relaxed seaside town in a breeze. Joining the friendly crew at Hervey Bay Whale Watch for a cruise on their purpose-built vessel Quick Cat II along Fraser Island is a must. Read our review here or learn more about responsible whale watching in the interview of Brian and Jill by the Sustainability Leaders Project. Want to swim with dolphins, turtles and (harmless) sharks? 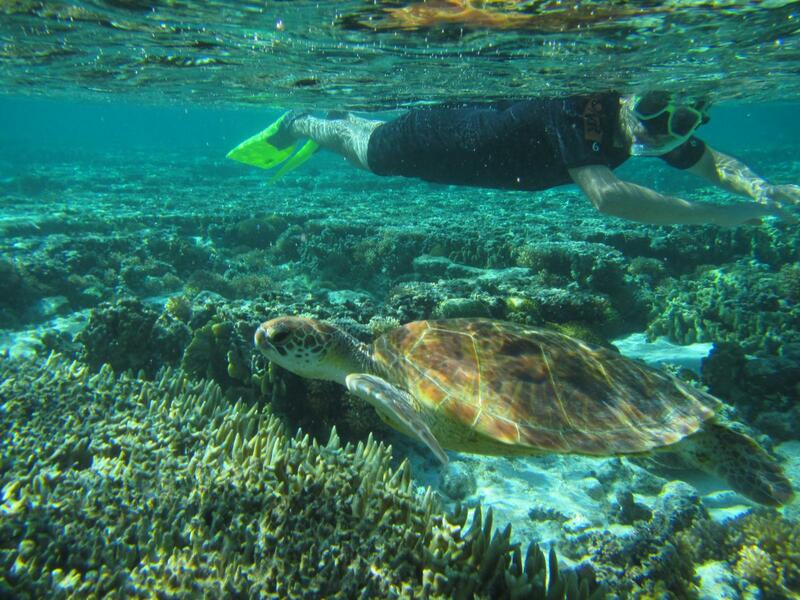 Lady Elliot Island is a coral cay located at the southern tip of the World Heritage Listed Great Barrier Reef. Situated within a highly protected ’Green Zone’ the island is a sanctuary for over 1,200 species of marine life and is known for its abundance of manta rays, turtles, amazing array of spectacular marine life and unspoiled coral reef. We recommend a minimum of 2 nights to make the most of your visit. More about the Eco Resort here and in the interview with Peter Gash by the Sustainability Leaders Project. For the latest news on weather in Brisbane, check weatherzone.com.au. Traveling from Brisbane up to Cairns is a popular route. We used the Greyhound Bus Hop on Hop off ticket, which was convenient and comfortable. 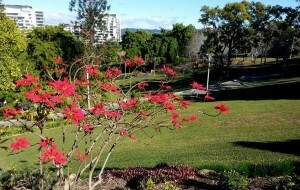 For all sorts of useful information about Brisbane as travel destination, check also wikitravel.org. 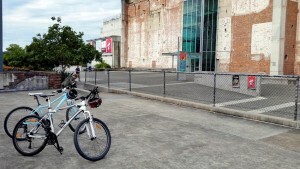 Like our tips and recommendations of eco-friendly hotels, tours and activities in and around Brisbane? Spread the word!